Whether you’re venturing on a yearlong international adventure, or just looking for backpacks for kids that are light and compact yet sturdy enough to hold books and stationery for school days, finding a good carrier bag to get the job done is vital. At the top of the food chain is the big camping rucksack – the ultimate utility carrier bag that possess all the specifications to carry many items securely. But there are many other options that are smaller, lighter and offer additional features to help you transport your belongings from A to B. A rucksack a bag made from durable materials, and equipped with shoulder straps that make it easier to carry by being slung over the user’s back. Essentially, they are handsfree carry bags that utilise compartments, pockets and fastening to accommodate belongings safely. This not only means ensuring that your belongings don’t become misplaced or damaged, it also means protecting them against external elements such as water and heat. Typically, the large rucksack allows upwards of 50 litres of weight before it becomes potentially compromised. Anything less than 35 litres generally means that it is a backpack instead of a rucksack. Whilst it’s difficult to pin down with certainty the originator of the camping rucksack, it’s believed that explorer named Otzi fashioned a large rucksack-type contraption from wood and skins. By the 1800s, backpacks for travelling had evolved, utilising leather and metal, but the constructions were cumbersome despite allowing travellers, such as military personnel, to transport larger loads. It was soon back to the drawing board again and 1900s onward saw the invention of rucksacks that were more practical and lighter before. With the advent of lightweight synthetics, as well as ideas like padded straps and the hip belt for improved weight distribution, the large rucksack became popular kit for expeditioners and travellers. Once clever people at Kelty, JanSport – two world-renowned backpack manufacturing companies formed in the 60’s - and other competitive companies within the market recognised how essential the backpack could prove, they continued to improve the model. Since the days of the military knapsack with the complicated frame, the rucksack has certainly improved to become a more economical and attractive bit of kit. Different brands boast inventive add-ons on their models but there are some standardised features that have stood the test of time and remain steadfast in all designs. Those who are shopping for the best rucksack, say, for a weekend festival outing will need to look at cheap rucksacks that provide a lot of pockets. Most backpacks for travelling cater to this need, boasting front and side pockets that have some flex to fit large or irregularly-shaped items. These pockets afford additional storage space that can be easily accessed should you require the items. Usually located at the base of the camping rucksack, there is a large compartment specifically for sleeping bags. Though adequately spaced, the sleeping bag compartment doesn’t always allow for tents that are larger than one person capacity. Still, this compartment has become a staple of the modern rucksack. The hip belt is important in preventing bodily damage to users who are carrying heavier loads. A large rucksack is designed to accommodate massive amounts of weight, and as that weight is added, the weight borne at the hips can make the load difficult to carry. The hip belt fastens the rucksack to your hip so that the weight is more evenly spread. How well the rucksack fits the user depends on the “backbone” of the unit. Encompassing a rigid, adjustable back panel that tailors the distance between the shoulder straps and the hip belt to suit the back length of the wearer, the adjustable back system enables a comfortable fit for users of a larger rucksack. It’s common that rucksacks are overfilled with important equipment. Rather than leaving home a necessary item, the expansive lid, which can extend above the backpack’s original capacity, will allow additional space by transforming into an extra section that affords space whilst still closing tightly. Rucksacks are infinitely convenient which makes them adaptable, no matter the situation. Because there are a many to choose from, finding the best rucksack to suit a particular need really is child’s play. Backpacking around the world means that you will be spending much of your time up on your feet, surviving out of the things you take on your excursion. Rucksack manufacturers recognise this and strive to develop large holdall bags that aid wearers to be able to transport their provisions comfortably for long periods of time. Rucksacks are ideal in this capacity as their lightweight, resistant design provide the room and functionality needed to transport belongings by foot with relative ease. As with backpacking, a hiking backpack will fit snuggly with all belongings locked firmly in. But, unlike backpacking, it’s not always necessary to wear a large rucksack as hiking is a shorter trip that requires less provisions. Still, it’s prudent to pack hiking gear, first aid and food during a hike, so rucksacks are common no matter the proficiency level of the hiker. It’s common to see runners and cyclists carrying some kind of backpack or hydration vest during their activity nowadays. High endurance sports, particularly those that are unsupervised and take place in treacherous environments, often demand supplies to aid the performance. Whether it’s to carry sustenance or supplementary equipment, small rucksacks can make a handy companion. You’ve seen the waterproof holdall construction workers often employ to take to work, or backpacks for kids to use for school and recreation. Rucksacks are like really useful items of clothing that it has become difficult to function in the modern world without as we transport our tech, textbooks and tools with us. Also known as the holdall or the gym bag, carryalls are large rectangular portable bags, often made from canvas material, that have a predominant compartment, a handle and a single padded shoulder strap. 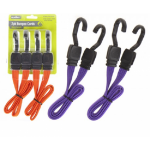 Classically, they are used for carrying sports and recreational activity equipment such as uniforms or sports footwear. Hydration packs are basically the water backpack that ferry water on your back and give you simple, handsfree access to it through a spout. 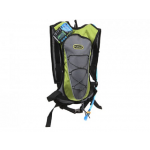 In many ways, they resemble the camping backpack, except they hold a bladder and are slimmer making them lighter during extensive exercise – this makes the hydration vest ideal for walking, running and cycling. Originally, the dry sack would be slung over the shoulder with a drawstring. In modern times, that design has been re-evaluated, introducing single and double shoulder strap variations. The raison d'être of the dry bag backpack is to keep belongings watertight during activities where contact with water is inevitable such as kayaking or canoeing. 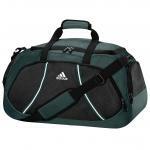 Think of a smaller version of the carryall and you begin to form an image of the travel bag. Small travel bags, however, offer a lot more variation in aspects such as size, material and functionality. They are predominantly for carrying smaller, important belongings with a greater emphasis on style as well as efficiency.